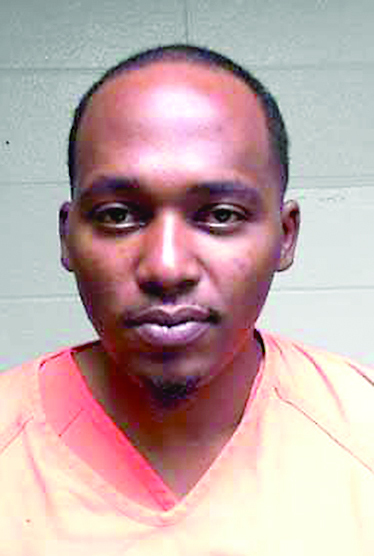 Natchitoches Parish Sheriff’s deputies arrested a Campti man on traffic and criminal charges in connection with counterfeit money seized during a traffic stop Sunday, Feb. 3. At approximately 2:20 p.m., deputies patrolling on US-71 in Campti stopped a 2008 Pontiac G5 for a traffic violation. Deputies say as they were stopping the vehicle the violator pulled into a business parking lot, exited his vehicle and began to walk towards the front entrance of the business ignoring the deputy’s command to stop. Deputies then approached the operator of the vehicle, Eric Dewayne Phillips, 34, and attempted to detain him, however, he began to resist by swinging his arms and pulling away. After a brief period, deputies took Phillips in custody. A driver’s license check revealed Phillips license was suspended. During a search of his person incidental to the arrest, deputies discovered a bundle of cash on his person amounting to approximately $2,000. Deputies then began to closely look at the cash and determined it was counterfeit money. Phillips, of the 100 block of Carter Street, Campti, was charged with Operating a Vehicle with Suspended License, Resisting an Officer with Force and Monetary Instrument Abuse (Counterfeit Money). Phillips remains in the Natchitoches Detention Center awaiting bond. The investigation into origin of the counterfeit money is continuing by the NPSO High Tech Crime Unit. Dep. D. Caballero made the arrest assisted by Reserve Dep. P. Niette. NPSO High Tech Crime Unit Detectives say in the past several months, businesses in Natchitoches Parish have been intercepting counterfeit money. Anyone with questions on how to identify counterfeit money should contact the NPSO High Tech Crime Unit at 357-7830. If caught in possession of counterfeit money, persons are subject to arrest for Monetary Instrument Abuse.